This program was initiated in 2016, based on the Y-AIR concept. 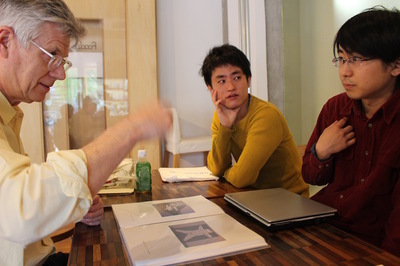 As a collaborative venture between AIR and art universities, the program is focused on the support of recent art university graduates, providing two Tokyo-based artists with six months of studio time at Youkobo to carry out self-directed activities. 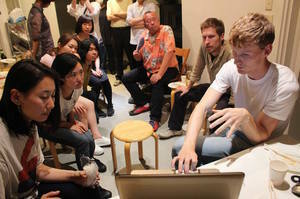 During this period, in addition to production time in a shared studio, it is expected that the two selectees will gain opportunities to join critiques by invited guests, present work in exhibitions, and build communication skills through active exchange and dialogue with artists and researchers joining the Youkobo AIR program. Also included in the scheme is the opportunity to produce and present work during a six-week stay in London at the studios of the Associate Studio Program run by Central Saint Martins, the partner institution of the Youkobo Y-AIR Studio Program. The program will take place for six months between April and September, in collaboration with Tokyo University of the Arts. This is a studio swapping program for young artists from London and Tokyo that was initiated in 2015, based on an idea conceived in collaboration with London-based artists and educators Mark Dunhill and Tamiko O'Brien who form the artist unit Dunhill and O'Brien. As a reciprocal exchange program organized between the University of the Arts London Central Saint Martins and the Associate Studio Program (ASP, started in 2013) at Acme Studios in London, and Tokyo University of the Arts and Youkobo Art Space in Tokyo, characteristic of the program is that it gives young artists who have yet to build a career the chance to experience creative production in a studio overseas. Through cooperation between Youkobo Art Space and various research laboratories of Japan-based art universities, this experimental program dispatches students and artists to ArtCamp, an annual international summer school offering art and design courses organized by the University of west Bohemia in the city of Pilsen, Czech Republic. This program was launched in 2013 following an introduction to the organizers by the EU-Japan Fest Japan Committee. It involves international exchange through creative activities during a three-week stay in Pilsen, an experience that is regarded as a simulation of an AIR intended to challenge participants to communicate in an international setting using English. From 2015, a dispatch of artists who join ArtCamp as course teachers was also initiated. In addition, a feasibility study that evaluates the framework adopted by ArtCamp is being conducted in order to explore possibilities of future cooperative activities. For this reason, leading members of the ArtCamp administrative team were invited to Japan in 2014, while in 2015 a staff member of Youkobo Art Space was dispatched to the University of West Bohemia to undertake a one-month research internship. 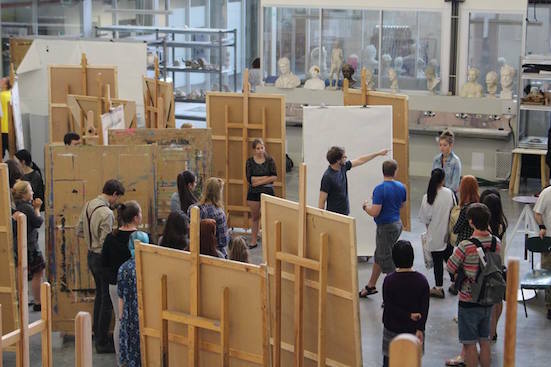 Launched in 2013, this internship program takes place at Youkobo Art Space, and is geared towards both university students of art management and those taking practice-based art courses. In addition to learning about the reality of AIR programs, by giving support to the creative activities of artists while understanding the purpose of their residencies, it is possible for participants to learn about the skills and attitude towards creative production required by professional artists. 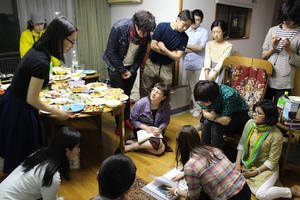 In addition, in 2015 Youkobo also created opportunities for art university students to join an internship program overseas. 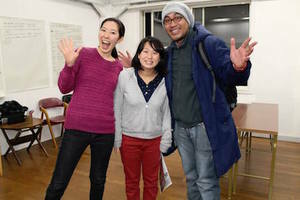 In this way Youkobo endeavors to develop means for learning directly in the field beyond the university campus.